The outage or downtime duration is known as periods when a system is not available for use. In that time, a system is not available to perform any primary function. There are many reasons that may lead to an unplanned downtime, including network outages, infrastructure failure, server outage, and more. Regardless, most of the issues that you experience can be resolved with ease. In addition to this, if you consider upgrading your technology, you can prevent outages from happen regularly. 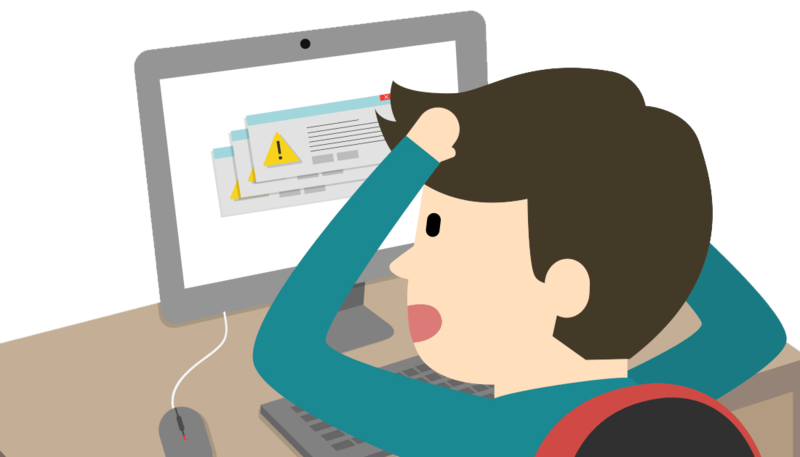 Downtime due to IT problem is a serious issue that is inconvenient for your business but more troublesome for your customers. Therefore, business owners should ensure that all equipment and software are running at their peak so that there is maximum productivity. A substantial percentage of this is devoted to employee confidence and morale building, giving your employees the equipment they need for minimizing distractions. It is believed that downtime is directly proportional to decreased productivity. It does not matter whether the downtime is due to internal or external reasons, for instance, it could be a system or internet connection failure. Regardless, it can be a lot of hassle if you are either not equipped or cannot get it fixed at the earliest. According to business owners, the worst cause of downtime or outage is due to hardware failure or other issues with the equipment. In other cases, there are still businesses that have been using outdated technology for a very long time. This is an unnecessary risk, as upgrading hardware and software is essential to the growth of the company. This mainly happens to small and medium-sized businesses who do not have sufficient funds to cope with the technological advancements every now and then. If your business is experiencing downtime, consider all the solutions that could restore your system’s functionality at the earliest. The key is to not panic as you should know the solutions that will help you continue your daily activities. Ensure that you have implemented back up and disaster recovery solutions on all systems so that you do not lose critical data. A component to help you do this is known as BDR device, which does not only create a backup but also protect you from data loss or theft. In addition, BDR is responsible for taking multiple backups on a daily basis to ensure you do not lose any data. All in all, it is encouraged to take a proactive approach to ensure minimum downtime for small-scale IT businesses. Apart from this, another good way is to keep monitoring your hardware and software for any malfunctioning. This way, you can determine the problem beforehand as well as save valuable time and money. Many businesses also prefer to outsource IT maintenance so that an external team can take care of your IT needs, ensuring minimum downtime while you are focused on key areas. As discussed earlier, there are multiple reasons, because of which, a downtime can occur hampering the productivity and growth of a company. It could be due to cyber-attacks or because of internal issues, such as network outage. Regardless, unplanned downtime is never good for a business. It is important that businesses have different plans to tackle such situations. For instance, more businesses should now prefer to move their data to the cloud so that they can continue working optimally in case of hardware failure. It is imperative for companies now to heavily invest in protection against such downtimes to efficiently meet customer demands at all times.